We’ve discussed choosing paint colors on here before but we’re going more in depth than ever before because let’s face it. Finding your perfect paint color is hard! There are so many different elements to consider when choosing a paint color not to mention the never ending number of paints out there! Choosing a paint color really is a very personal experience. We use this as a means to not only bring the best out in our home. We use paint colors as a form of self expression. Paint colors can make your home feel sleek and modern, comfortable and warm, and everything in between. The problem is, the wrong paint color can make your house NOT feel like home and no one wants that. We’ve put together this color series to help you feel more confident when choosing your paint colors and give you a basic understanding of how color can make an impact within your home. Let’s get started! First things, first. It’s important that we all have a good foundation to build our paint knowledge base. Here we’ll tackle Paint 101 in order to create the foundation and we’ll build upon that throughout the series. We know, choosing paint colors is the fun part. We promise we’ll get there but first a little paint history lesson. It’s important to note that not all paints are created equal. Does this mean you have to pay big bucks for the most expensive product out there? Not at all. Does it mean that the quality of the paint you use has an impact on color? Absolutely. We aren’t going to tell you that you need to go spend a small fortune buying a designer paint but when it comes to choosing paint colors, you should definitely be looking into the technology within the product you’re using. We know, we know – it’s paint so who cares!? Hear us out though. Paint has been around for ages and you can trace its creation back to over 100,000 years ago. That being said, paint has obviously changed A LOT since it first hit the scene. You may not know this but ready-to-go canned paint, like we grab off the store shelf today, has been around since 1866. Don’t think you’re browsing some ancient relic at your local hardware store though. The technology available in the paints we use today is actually astounding and plays a big part in the colors we see. 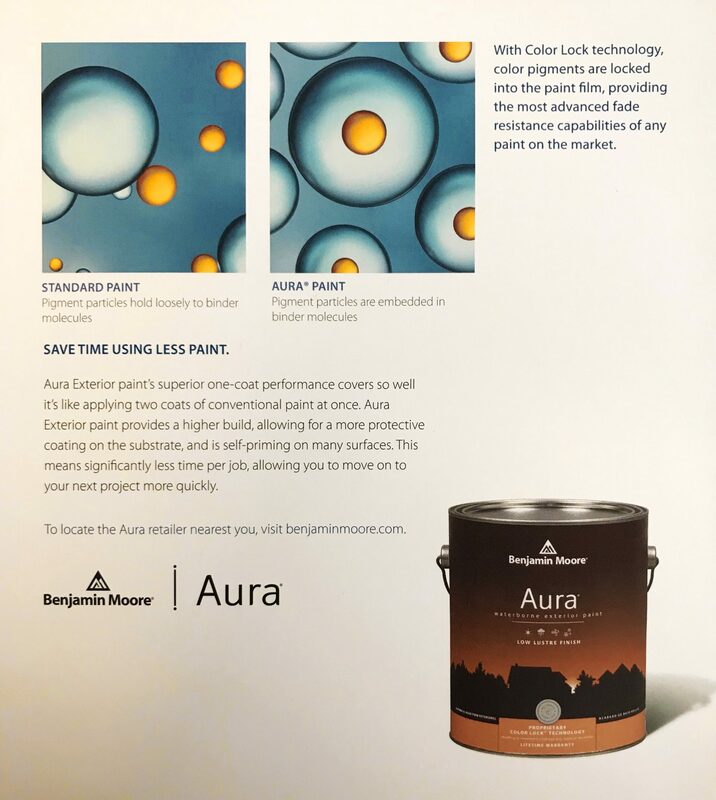 Benjamin Moore has been quietly leading the charge on advanced paint technology. They feel a large responsibility to be ethically and environmentally responsible. As such, they were a leader in creating low and zero VOC products readily available to average consumers. What’s a VOC? We’re glad you asked! VOC’s, or volatile organic compounds, are the nasty little toxins released by the production of many everyday items. Things like craft and hobby supplies, plastics, cleaning products, and yes – paint. These all have VOC’s and these can actually be really harmful to your health. To learn more about VOC’s, check out our blog post from last year year detailing the terror of these little guys. Nowadays, ALL of Benjamin Moore’s paints are low or zero VOC. This means you can rest easier knowing you’re using the best, and safest products on your home. You’re probably wondering why the technology of paint makes a difference when it comes to color. Well, along with making paints much safer to use on your home, Benjamin Moore has set the bar with their Color Lock technology. When it comes to choosing paint, coverage and fade resistance are usually at the top of the list for must haves. If you’ve ever painted a room in your house you probably already know how frustrating it can be. Now, think about having to do it twice. We know! Coverage is a key component when it comes to selecting a quality paint that will ensure you are getting the color you want. We don’t want to get too technical here but it’s important that you understand what actually makes up paint. Essentially, traditional paint consists of pigments, resin, solvents, and additives. Pigments- Are used to add color and control shine. Resin- The resin is what binds the pigment particles together and allows the paint to adhere to the surface. Solvent- Usually this is an organic material or water and it acts as a carrier for the pigments and resin. Additives- Exactly what it sounds like, manufactures make different products that can be added into the paint to enhance certain features. There is a range of these products and they do things like increase the ease of brushing, mould resistance, scuff resistance, drying and sagging resistance, etc. Now, we could spend all day on why each of these is important but we know ain’t nobody got time for that! So, we’ll focus on the two main points; quality and pigmentation. The quality of the ingredients used to make your paint should be important to you. Cheap paint is cheap for a reason. Companies that have a “lower end” or bargain product have to cut costs somewhere. Unfortunately for consumers, this happens on the manufacturing end by using low quality ingredients to make the paint. Cheaper products tend to break down faster which causes fading and failing paint. Lower grade ingredients leads to a higher risk of the paint failings as it’s not designed to stand up to daily wear and tear. That means you may end up repainting much sooner than you would like. A little known fact about paint is that when you add traditional pigments to paint it actually weakens the product. With most paints, pigments sit on the edge of the resin molecules, loosely holding them together. Over time those bonds break down as the paint wears. This leads to things we all know and hate like fading, discoloration, and failing paint. The good news is, this isn’t something you just have to live with. With the creation of Aura, Benjamin Moore has single handedly changed the paint game. We’ve talked about how not all paints are created equal. This could not be more true for Benjamin Moore Aura. We’re biased but we’ve got the science to back it up. This stuff is absolutely amazing and here’s why. Rather than using traditional pigments Benjamin Moore actually bonds their paint pigments to dry paint film on a microscopic level. What this does is create a chemical structure that permanently locks in the color. These special polymers wrap themselves around the color particle creating a thicker paint which is actually strengthened, not weakened by the pigments. Put simply, Benjamin Moore is tinting their paint with paint. This leads to a harder product that is easier to apply. Not to mention it’s the top of the line when it comes to fade resistance, a must here in sunny Colorado. So, what does this all have to do with choosing a paint color? To begin with, everything. You are only going to get the coverage, color pay off, and durability from a high quality, well pigmented product. When choosing a paint color it’s not just what’s on the surface because ultimately, we want a product that will be consistent and provide lasting color. 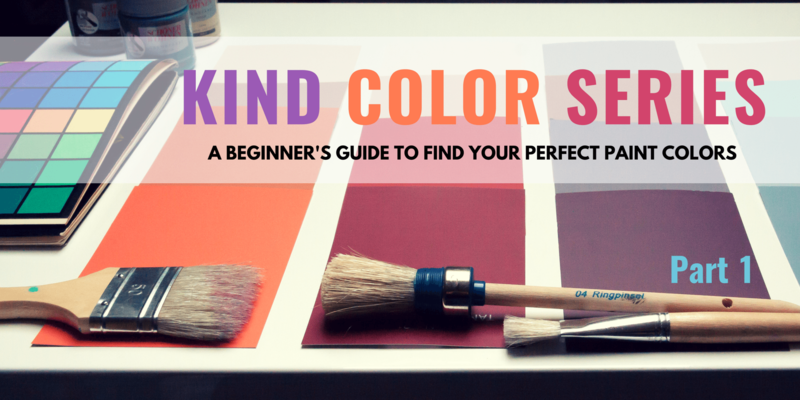 This is a TON of information but hopefully you have a great base to build your paint and color knowledge on. Now that the science of paint is out of the way we can get into the fun part! Be sure to check out Part 2 of our Kind Color Series for everything you need to know about color and understanding tones. This entry was posted in Exterior Painting, Interior Painting and tagged choosing colors, color guide, color selection, colorado painter, DIY painting, exterior painting, house painting, Interior Painting.